The final destination in our journey of life awaits us in the Hereafter. It’s up to us whether we book our place in Paradise or Hell. 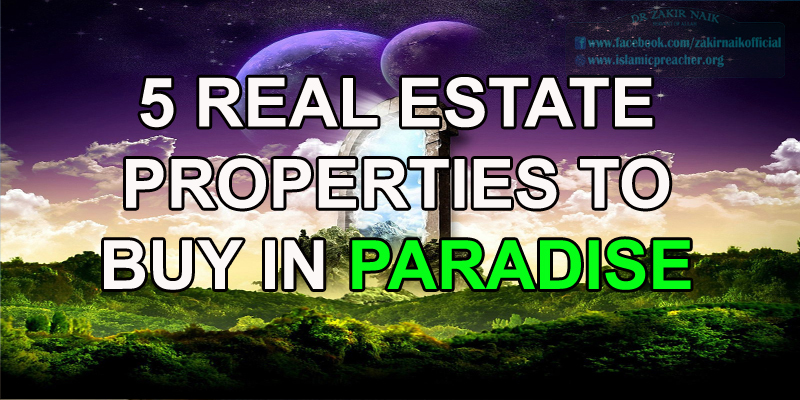 Before going there, we can buy real estate properties in Paradise by following the Book of Allah and the sunnah of the Prophet. What it means is that prayer in that part of the Prophet’s Masjid is extremely rewarding.